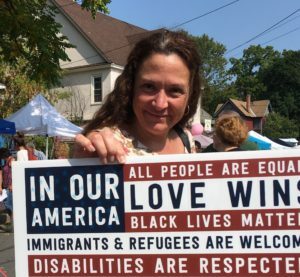 Hiscock Legal Aid Society is proud to attend this event each year in Westcott. 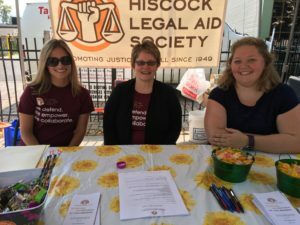 At the event, attorneys and staff have an opportunity to meet with people in the community, share information on our mission and vision as well as the services provided by Hiscock Legal Aid Society. HLA promotes justice for all at the Wescott Street Cultural Fair. Heather Prado, Andrea Drumm, Linda Gehron, and Nancy Farrell.